With five runs required off the last ball, English batsman Eoin Morgan hit a six off from Ben Hilfenhaus's final delivery to hand Sydney Thunder their first victory in the Big Bash League 2016. 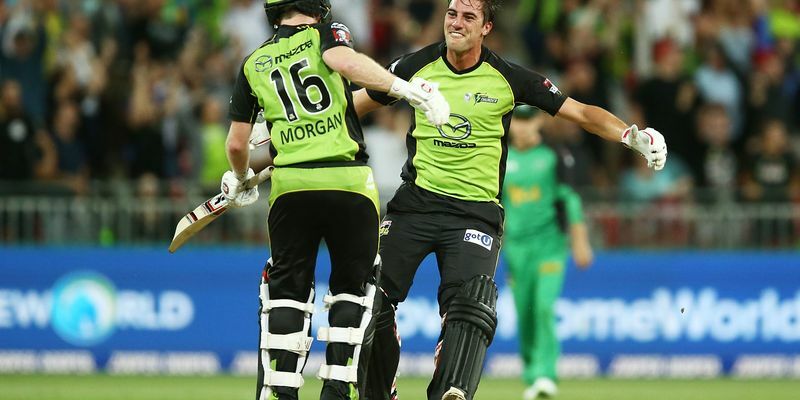 Morgan finished with 71 off 50 balls to end the game in a thrilling fashion against Melbourne Stars. Eoin Morgan handed the Sydney Thunder their first win of Big Bash League 2016 when he smashed a six straight over the head of the bowler to complete one of the greatest run chases in BBL history. Morgan needed five from Ben Hilfenhaus's final delivery to win the game, which he calmly finished by sending the crowd in the Spotless Stadium, Sydney into a tizzy. Earlier, Melbourne set Syndey a target of 167, thanks to Kevin Pietersen's 60 from 37 balls. Morgan's 71 off 50 balls also came in a tough situation when Sydney were 3-43 after losing West Indies all-rounder Andre Russell to an injury. Sydney needed to score 16 runs from the final six deliveries. Pat Cummins scored a six off the third ball to bring the equation down, but Thunder were still left with 5 runs to win off the last ball. Facing the last ball, Morgan lofted a last-ball six straight into the side screen to take the Thunders to their first win of the season. Despite the win, Sydney remain at the bottom of the BBL table, but can still manage to reach the finals should they win their last three matches and other results go their way.